It’s that time of the year, up and down the country when parents and children , sitting the selective state 11+ grammar school entrance exams are incredibly anxious. The process off 11 plus exam is undoubtedly stressful. Therefore, to make the journey easier, we’d like to share some valuable advice to help you and your child through this tough journey. This advice will undoubtedly be equally useful for those parents, whose children are a year younger, and beginning to prepare their child for the eleven plus grilling. Understand what the admissions rules are for the school. Is priority given to children in a certain geographical area, sibling priority or children in care given priority? Check the schools 11 + admissions policy to ensure changes have not been made in the year for which the exam will be sat. 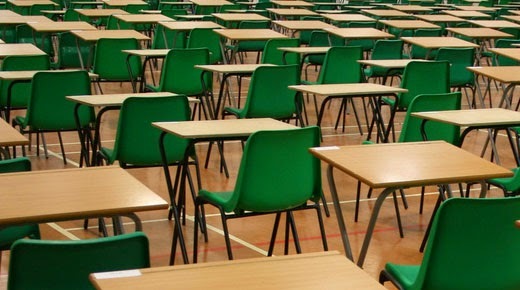 Often Grammar schools publish the entrance examination policy six months prior to the exam. You need to find out about the eleven plus testing process. Understand what is the application process, when do you have to apply, what will the test cover, where do they take place and are there any changes occurring to the testing process. Understand the best and worst outcome of your child’s results. Effort should be made but always put the exam in context of the blessings of wonderful health, a house and a happy family life. Always retain this angle in context of the exam. Just because you are calm, your child might not be. Children talk about High school and share anxieties in the playground. Therefore, understanding, nurturing and managing their emotional health and well-being is vital. Talk to children about plan B – an alternative High school. If your child feels the future is mapped out and under control then they will feel less anxious and this could improve learning. Beware – if you may promise an expensive gift what happens if your child doesn’t pass? If they do not receive the gift after failing, this might make them feel disheartened and emotionally dampened. Improve Tuition is an Expert Heckmondwike Grammar exam pre-parer . You can reach Improve Tuition on 01924 506010 or email us on info@improvetuition.org for further information.